Here's a look at the top-3 and bottom-3 swings in my metric, Advanced Total Driving. You judge for yourself the similarities and differences. I think it helps to understand what holes are likely to be a blowup hole, why they may be a blowup hole and what situations are conducive to creating a blowup hole. What holes are likely to be a blowup hole? For players across the board, usually the blowup hole will occur on a difficult driving hole. Particularly when the tee shot does not fit the golfer’s miss. For example, at last year’s FSGA Mid-Am at Old Marsh Golf Club, I was doing fine in the first round until I hit the 17th hole, a fairly tight par-5 where there was almost no room to the right and the wind was blowing to the right. At the time, that really didn’t fit my ballstriking because my miss was typically to the right and if I aim left to avoid it, I tend to over-do it and hit a dead-yank left. And that’s what happened, a dead-yank hits a tree and actually kept the ball in play on a small cart path meant for the grounds crew. I wound up going from +1 after 7 holes to taking a 9 and being +5 after my 8th hole. As I stated in my analysis of the WSJ Article on metrics and golf, as the scores get higher in a round of golf, improvements off the tee will make the largest improvements in that score. So, if a Tour pro shoots 82 on a course, he most likely had a bad day with the driver and had some bad holes due to the driver causing him issues. The penalty for bad shots with the driver is generally much more severe than bad shots with any other club. The other holes where ‘blowups’ tend to occur are on Danger Zone approach shots. Particularly if there’s a hazard or O.B nearby. I would typically believe this happens on par-3’s more than par-4’s because usually the par-4’s are designed with the idea that they are very long (say, 450+ yards) and the purpose of the design is to force the golfer to hit two shots a long ways more than having to be very accurate with those shots. Furthermore, courses often design their par-3’s as their ‘signature hole’ which is usually surrounded by water and if the hole is a very long par-3, so be it. I think the point here is that it’s good to identify these blowup holes early on and focus your attention to playing these holes well. If you’re playing a tournament, your practice round should probably have you hitting a bunch of balls and different shots on this hole to figure out the way you can most comfortably play the hole well. And when you’re on the range, you should envision hitting shots on those possible blowup holes before you go out and pla. Why is a blowup hole a blowup hole? A blowup hole for one golfer may not be a problem for another golfer. For instance, #3 at Olde Atlanta is a 200-210 yard par-3 with not a lot of room if you miss the green. If you’re more than 15 yards short of the green, you go into a small canyon that is a hazard. If you miss more than 5 yards left, you’re likely in some bushes that are there to protect the golfers on the 4th tee. There’s very little room right or long. For me, it’s a 4-iron. For one of my friends, he hits it so long that it’s a mere 7-iron for him. Now, he’s not the most precise ballstriker I ever came across, but hitting a 7-iron is not a problem for him. And if I am a little offline with a 4-iron on that hole, it can be a disaster. As we make it to the 4th hole, This hole is relatively easy for me. I can hit a driver right down the middle and have about 80-110 yards into the green. However, my friend struggles with it because he hits the ball so long that it requires him to hit a shot from right-to-left and he’s a left-to-right player. He could take less club, but it is one of those situations where less club will have the ball landing in an area surrounded by fairway bunkers. This creates an overload of worry for him and he often takes a poor swing on that hole and plays it poorly. It’s often easy to gloss over the shot that does not fit your eye and assume that because the hole is not difficult for most people that you’ll eventually ‘get it’ and play the hole well. But in my mind, the hole that does not fit your eye is one of the holes you should focus your efforts on the most. What situations are conducive to create a blowup hole? Just because a hole ‘fits your eye’ or is not considered overly difficult, that does not mean you will not have a ‘blowup’ hole because of it. Obviously, we already discussed those holes with difficult and troubling tee shots are holes that usually are the ‘blowup holes.’ But what about the times you blowup on a hole when you don’t hit your tee shot O.B. or in a hazard? One of the big ones I’ve found is when you are in the Danger Zone and in particular, with an impeded shot. If you’re in the ‘Danger Zone’ and your shot is impeded, your odds of having a ‘blowup hole’ have increased dramatically. What’s really tricky is let’s say you’re in the deep rough with a clear shot at the green, but 200 yards away. Your brain will tell you to hit the shot and that it’s no big deal. But what may wind up happening, even to a Tour player, is that disaster happens at impact because of the club design and the tall grass. Then the face is hooded at impact and you hit the shot so far dead left that it gets into even worse trouble. Then what came off as a shot at hitting the green and making par has now turned into a situation where you’ll be lucky to take a bogey. I am not saying to not hit that shot, but it’s important to realize the possible dangers of that shot and making sure that it doesn’t happen. It’s very important to understand that unless you have the magic of a Phil Mickelson or Bubba Watson, often times you can bit off way more than you can chew. In fact, currently the PGA Tour average proximity to the cup on Danger Zone shots from the *rough* is about 57 feet. For those same shots from the fairway or teebox, it’s about 38 feet. A difference of nearly 20 feet. So in the end, if you can spot the holes that are potential blowup holes, figure out why they are a blowup hole and understand the situations which could potentially be a blowup hole, you are now putting yourself in a position to avoid those big blowups that kill a round. Marc Leishman wins in Hartford. Last week, the ShotLink data didn't update due to the US Open being played, I didn't update the rankings. Here are some swing videos taken by golf instructor, Terry Rowles. Shots that originate more than 100 yards from the hole have twice the impact on score of shots from inside 100 yards—including putting. Long-game results account for about two-thirds of the variability in scores among golfers on the PGA Tour (the short game is one-third). I’m glad to see that Mr. Broadie is coming out with a book in 2013. Broadie created the metric ‘putts gained’ and has far more credentials when it comes to statistics than I do. I plan on learning quite a bit from the book. However, I think where Mr. Broadie may be at a disadvantage is his golfing experience. I do not believe Mr. Broadie has a lot of experience as a golfer, nor playing at a high level nor playing at the levels between a beginner to a +2 handicap. I think that lack of experience will wind up raising some questions about the applicability of his research. We’ll have to see what the book says, but I have issue with merely breaking down the game of golf into shots from 100+ yards and less than 100 yards. In golf, the shots are really broken down into much more categories than that. 8) Shots from 0-40 yards around the green. The issue I take with the ‘long game sets up the short game’ and ‘shots from 100+ yards are twice as important as shots from less than 100 yards’ is that in the end, it really doesn’t tell the golfer that much. It may wind up getting a golfer to focus their efforts towards 100+ yard shots versus chipping, pitching and putting. Although I don’t think that’s the best way to go. - Top-10 from 100-175 yards away. Provided everything else being equal, I believe the first golfer will wind up with a better ‘adjusted scoring average’ and likely have more victories. Particularly on the PGA Tour where the best on Tour only hit it to about 15 feet to the cup on shots from the fairway at 100-125 yards and the worst are still within 30 feet, which is still enough to come away with a par and a possible birdie. - The typical penalty for a ‘poor’ shot from those distances. As I mentioned in my 2011 Pro Golf Synopsis, at a most basic level, the different comes from the fact that the reality is that the ‘best’ a golfer can do on those approach shots is to make a birdie (-1). But, there is no limit in how poorly they can play the hole. They can take a bogey (+1), double bogey (+2), triple bogey (+3), etc. That’s why all shots from that range are not created equal. Furthermore, most golfers on Tour do not hit every type of shot longer than 100+ yards well. The same goes for shots under 100 yards. And we’ll use my metric ‘Advanced Total Driving’ where he currently ranks 81st. This is actually quite typical of Tour players. One the few can stay in the top-1/2 from these 3 distances and with the driver. And that’s reserved for players like Kyle Stanley and Jason Dufner, who already have 3 wins between them. It’s easy to see why more golfers don’t excel at all facets of ballstriking. If they did, they would be one of the top players on Tour. For a lack of better term, it’s just ‘plain hard’ to do. Along with creating a metric to determine what statistics most strongly correlate with being the most effective driver of the golf ball. From there, the Tour players, caddies and coaches I work with can better prioritize what to focus their efforts on. There’s a real dropoff in importance from #2 to #3 and then another big dropoff from #5 to #6. But, you do see that putting is quite important once things are broken down more. The problem with the ‘Less than 100 yard shots are less important’ argument is that it lumps in putting with shots from 21-99 yards, which are largely unimportant. As I stated in 2011 Pro Golf Synopsis, the ‘Adjusted Short Game Play’ only takes into account shots from 0-20 yards from the edge of the green. Why? Because shots from 21-40 yards from the edge of the green show no statistical correlation to Adjusted Scoring Average. My guess is that from that distance, those are usually on such poor approach shots that being able to stick it close is more or less potluck. And typically you do not see any player from 21-40 yards do consistently well from year-to-year. Unlike from 0-20 yards where some players like Brian Gay, Briny Baird and Chris Riley are consistently among the Tour’s best. Thos shows that those shots are more about skill and proficiency because these players are not just getting lucky from that distance each year. Lastly, I think it’s incorrect to assume that what is good for the Tour pro will automatically translate into being good for the amateur. Particularly if you want to do it with any detail. From my research, my current conclusions are that as golfers get closer to a scratch handicap, Putting and Danger Zone play become increasingly important for them to take the leap into reducing their handicap and playing better in competitive situations. Surely, improving off the tee could help, but to make that major jump the golfer that is closer to scratch should focus more on Putting, Danger Zone play and shots from 0-20 yards around the green. Of course, there is always the chance that a golfer may be close to scratch while being excellent with the putter and Danger Play, but awful with the driver. But on average, I do not believe that will be the case. In fact, I believe the better golfer…even the Tour player…who shoots the occasionally poor round of golf will almost likely have done so thru poor driving over poor Danger Zone play or poor putting. This is significant because it gives an indicator as to what happens when golfers shoot higher scores…the penalty for a terrible shot off the tee is generally far greater than the penalty for a poor putt or poor approach shot. Hit one poor off the tee, you can go O.B., into a hazard, into a fairway bunker, deep into the woods where you have to punch out or perhaps incur a lost-ball penalty. You won’t get those penalties on the greens. And your chances of getting those type of severe penalties in the Danger Zone are far less. So, it really doesn’t matter if you’re a Tour pro who has a terrible day and shoots 85 on a course or a 15 handicapper who has a good day and shoots 85 on the course; in all likelihood a big part of those 85 strokes came off the tee shots for both golfers. In the end, the further away the golfer is from a scratch handicap, the more they need to improve their tee shot play in order to make a significant dent into that handicap. Things like Short Game play, Putting and Danger Zone play are still very important (even though the distance range for the Danger Zone will alter if the golfer plays on a course shorter than 6,700 yards). It’s just as the handicap is higher, they need to improve more off the tee from a distance, accuracy and consistency standpoint to legitimately cut off a lot of strokes off their scores. Dustin Johnson comes back from injury to win the FedEx St. Jude Classic. I didn’t make any picks for the FedEx since I was going to pick 10 players for the US Open. I will go into that tomorrow. I started to formulate this back in 1992, when I saw Dr. Gil Morgan dominate a field at Pebble Beach, only to lose the lead immediately after a few offline shots. It’s not that I think every tournament should be a US Open style. In reality, once a year is probably good enough. But if you can win the US Open, you have some incredibly thick skin to deal with the ups and downs of that style of setup. This was also the tournament where I became a major fan of Payne Stewart. No, not the ’99 win at Pinehurst. Instead, the 2nd place finish in ’98 at…The Olympic Club. On the back nine in the last round Stewart found the fairway, but wound up in a divot. While it was a cruel fate, he still had a make green in regulation. I remember the NBC announcers were embarrassing to listen to, acting like Stewart should get a free lift from the spot. The fact of the matter was that Stewart hit a poor shot that wound up in the greenside bunker because it was a poor shot, not because it was a bad lie. Afterward, the NBC announce team tried to convey the point that Stewart was ‘robbed’, but Payne put that nonsense to rest and quickly stated ‘I did not play well enough to win this tournament’, and left it at that. And as true champions do, he came back to win the US Open the following year at Pinehurst. While I was glad that Rory won the US Open last year, after a crushing blown lead at the Masters 2 months before, I despised the way the course was setup. Another gaffe by the USGA. You know it’s pretty bad when you see far thicker rough at the Wegman’s LPGA Championship this past weekend than what we saw at Congressional for the US Open last year. My guess is that the US Open will be ‘back’ at Olympic Club this year. Here’s a look at ’15 golfers I like’ at the US Open. Weaknesses: Not a particularly long hitter (t-113th) and may be still coming off the ‘hangover’ from the win at the Player’s Championship. Strengths: Very strong ballstriker, ranking 16th from the Safe Zone and 14th from the Danger Zone. Hasn’t putted as well as he has in the past, but it still 9th in 3-putt avoidance in a tournament where you have to do what you can to avoid bogeys. Weaknesses: Driving Accuracy has really hurt his 2012 season, as he’s currently 125th in fairway percentage and 112th in Distance to Edge of the Fairway. His driver has been shaky all season long. Strengths: He would be having another great season if he could get his driving fixed. He’s 17th from the Safe Zone, 12th from the Danger Zone and 39th in 3-putt avoidance. Weaknesses: He’s currently ranked 179th in Short Game play, so when he misses a green he puts himself in tough position to get up and in. He’s also been inconsistent and had some struggles on opening rounds, sometimes taking himself out of contention immediately. Strengths: How good is this? 15th in Advanced Total Driving, 18th from the Birdie Zone, 7th from the Safe Zone and 4th from the Danger Zone. He has never been a good putter. He currently ranks 74th in Putts Gained, but that’s a massive dip from just a month ago where he ranked 1st. Weaknesses: He’s had issues with 1 part of his game hamstringing him in tournaments. I think he is also still learning his swing with relation to some of the mishaps that can happen and that slows his ability to correct them in the tournament. I also think he tends to press too much when some of his shots do not go his way. Plus, he’s Tiger. Whatever he shoots will be plastered and questioned repeatedly. Strengths: I think his current game will be geared more to win the US Open than the Masters because his accuracy and precision has improved by multifold and he’s now one of the premier, if not THE premier, ‘long, but not a bomber’ who hits it with extreme accuracy and precision. And he’s recently improved his Birdie Zone ranking, now ranking 63rd in the category. It’s really a question if he can put it all together. Weaknesses: Not the greatest putter in the world (142nd in Putts Gained), but not the worst either (60th in 3-putt avoidance). Birdie Zone gives him trouble (147th) as well as his short game play (167th). Weaknesses: Putting. Currently ranked 116th in Putts Gained and was ranked 150th just a month ago in the category. Very much a roller coaster player. Strengths: He’s been on fire lately and despite his putting woes, he does a decent job at avoiding 3-putts (87th). Has struck the ball extremely well, which includes ranking 15th in Advanced Total Driving and 41st from the Danger Zone. He also has that first victory under his belt, which should make him feel a little more comfortable going into the Olympic Club. Weaknesses: Putting and wedges. 123rd in Putts Gained and 121st in 3-putt avoidance. 131st from the Birdie Zone. Has not logged in a lot of rounds recently. Strengths: Strikes the ball extremely well from the longer distances. He’s 22nd in Adv. Total Driving, 21st from the Safe Zone and 6th from the Birdie Zone. He’s also 10th in Short Game play. Weaknesses: Inconsistent with his long approaches. Ranks 93rd from the Danger Zone and has usually been all over the place in this zone, some weeks doing really well, other weeks playing poorly from that distance. He’s also poor around the green, ranking 141st in Short Game play. So the long distance approach shots may cause him some real problems. Putter has also cooled off as of late. Strengths: Great driver (9th) and a real good Safe Zone player (24th). Typically, the Safe Zone is where the most approach shots come from. So, if he can continually get it inside the Safe Zone on the 7,170 yard Olympic Course, he could be difficult to beat. And while his Putts Gained ranking is rather average, he is 34th in 3-putt Avoidance. Weaknesses: May not have the mentality for it. After the Masters he claimed that he would never win a major and didn’t seem too convincing in an interview yesterday. Still has the attitude that he is the only one that gets bad breaks and that good putts do not fall for him. Not as good of a driver as many think, currently ranking 86th in Advanced Total Driving. Weaknesses: Might be at that stage in his life where he’s looking to comfortably keep his Tour Card, but doesn’t have enough gas in the tank to really contend in a Major. Putting is much better (69th in putts gained), but may still be shaky under the highest competitive level of golf. Strengths: Solid, all-around game. 51st in Adv. Total Driving, 71st in Short Game play, 77th in the Safe Zone and 61st from the Danger Zone. 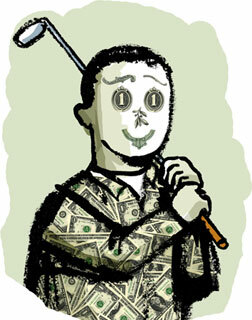 Weaknesses: Suspect putter, ranking 95th in Putts Gained and 141st in 3-putt Avoidance. Even though he has gotten 2 wins in the past month or so, still seems shaky with the lead. Strengths: Great ballstriker. 2nd in Adv. Total Driving, 26th in the Birdie Zone, 9th in the Safe Zone and 17th in the Danger Zone. He’s also 5th in Short Game play. Meaning, he hits a lot of fairways and greens and when he does miss a green, he can get up and down quite often. Did lead the PGA Championship last year until the 15th hole. Weaknesses: May be suffering from a Masters ‘hangover.’ His putting has been atrocious (166th in Putts Gained), but he’s been respectable with his 3-putts (106th). Some of his rankings in the metrics may not be as good as they appear since he has not logged many rounds since the Masters. His wildness off the tee, may not suit the US Open. Strengths: Bubba plays a different game from the other bombers and is unafraid to take out the driver on every non-par 3 if he feels like it. Many times this works in his favor because he adds so much distance by hitting driver that even if he finds the thick rough, he can find a way to get out of it. Where Bubba has really stepped up his game is in the Danger Zone (2nd) and around the green (14th). You can start to see why he’s so effective here. He typically avoids Danger Zone shots because of his length, but if he finds himself there, it usually means the rest of the field will be there as well. And it doesn’t matter because he’s 2nd in Danger Zone play anyway. And if he misses the green, his adept short game will lead him to getting up and in. Weaknesses: He’s coming off an injury plagued season and had to play in the FedEx to get some rounds in. So the turnaround time may be a little too much for him. He’s putting much better this year, but still struggling with the Short Game (170th). Strengths: He’s developing a solid all-around game and is putting quite well (50th in Putts Gained). If he had putted that well last year, he may have won 2 majors. He’s also ‘been there, done that’ before with being in contention at a Major more than once before. Weaknesses: Weird putter in that he’s ranked 37th in Putts Gained, but 126th in 3-putt avoidance. Has also struggled from the Birdie Zone this year (162nd) and is a very average at best ballstriker. Strengths: He’s normally a great putter, so that may curb the 3-putts sooner or later. He’s also 26th from the Danger Zone and 65th in Short Game Play. Strengths: Drives the ball well (42nd) and is ranked 44th from the Danger Zone. His putting has been poor, ranking 150th in Putts Gained. But, he’s 80th in 3-putt avoidance. I could see him creeping into contention and finishing inside the top-20. On Friday, after the 2nd round of the Memorial, The Golf Channel’s Brandel Chamblee remarked that a problem he saw with Tiger Woods’ game is that he didn’t give the ball a free rip on par-5’s anymore and that didn’t allow him to go after par-5’s in 2 shots. 2. The TV almost always shows every Tiger tee shot and not the tee shots of everybody else. While I’ve disagreed with Chamblee on many things in the past, I do like that he tries to investigate the ShotLink data when analyzing tournaments and players. He has made some faulty conclusions like saying that shots from 50-125 yards are the ‘money zone’, which is very inaccurate depiction of the Tour. I think Chamblee made the common mistake that people not involved with statistics make, small sample size and never bothering to see the statistical correlation between that area and Adjusted Scoring Average. However, Chamblee does notice something very important here. There’s a strong correlation between Par-5 scoring average and the percentage of ‘Go For Its’ a player has on par-5’s. The Tour labels a par-5 ‘Go For It’ as anytime the 2nd shot is within 30 yards of the edge of the green. As I mentioned in 2011 Pro Golf Synopsis, this is one of the reasons why I feel power has its advantages along with why I feel the 3-wood is the most underrated club in the bag. If I can get within that 30 yards from the edge of the green on a consistent basis, over time my par-5 scoring average will likely go down. Many golfers, even Tour pros, don’t quite understand this. But, if you have 300 yards to the pin, but 280 yards to the edge of the green, if you can hit your 3-wood 250 yards…even if you’re not truly ‘going for it’, that’s often the better play for the golfer if they want to lower their expected score. Often times, golfers think they would be better off having 100 yards and a full swing into a pin than say 50 yards. That’s actually very false. If you want to lay-up on a par-5, it should really be done to avoid trouble like deep rough, a tough bunker shot, water, O.B., trees. I didn’t watch the entire 2nd round of Tiger, but he did lay up on the back nine on one par-5. The wind was blowing heavily in his face. He had 261 yards to the pin. They didn’t give the yardage to the creek that ran across the fairway up by the green, but I’m assuming it was probably 220 yards to carry. Perhaps Tiger was a bit too conservative on this shot, but I think if he misses the green badly, but clears the creek, he could be left with a very difficult shot because the rough was very thick at Muirfield Village. In the world of Tiger, everything gets criticized. Two things stand out here. One is that Tiger’s percentage of ‘Go For Its’ is pretty much at his career average. However, his ranking is pretty low compared to previous years (outside of 2004). We can’t just leave it at ‘Brandel is wrong’ because the ranking is of some importance. We can’t answer that, but I would like to take a look at his Driving Distance, fairway % and distance to edge of fairway ranks over the years, combined with his Go For It percentage ranks. Can we decipher anything from these rankings? Obviously, Tiger does not hit it quite as long as he used to. We also don’t have Distance to Edge of Fairway data prior to 2008. However, Tiger’s fairway % has gone wayyyy up. And I think it’s safe to assume that his Distance to the Edge of the Fairway (extremely important for effective driving) has improved greatly this year as well. There’s a very strong correlation between fairway % and Distance to the Edge of the fairway, so if Tiger was finishing no better than 139th in fairway percentage from 2004 to 2007, you can bet that his Distance to the Edge of the Fairway rankings were lousy as well. Now, let’s look at the rankings on approach shots from the fairway, on 225-250 yard and 250-275 yard approach shots. The 225-250 yard range is a good range to Go For a par-5 in two shots. For Tiger, this will likely be anything from a 3-wood to a 4 or 5-iron. I would say that typically he would probably hit his 2-iron (or 5-wood) thru 4-iron here. He’s currently ranked 70th, which is still above average. It’s also the worst he’s ranked since 2002. From 250-275, we are now talking about the 3-wood range. He’s been spectacular there outside of 2002, his last year working with Butch. That was also the same year than his highest ranking from 225-250 yards occurred. This may be one of the big reasons why Tiger decided to leave Butch as his long game was not where he wanted it to be. If we were to use the American court system of ‘being innocent until proven guilty’ and Chamblee was the District Attorney, I don’t see him having much evidence to stand on. He would probably have to wait on the case before going to trial and see if he could get some better evidence. He does have the lower ranking in driving distance and Go For It percentage in his corner. But, the actual metrics point to a different story. My feeling is that at the very worst, Tiger is ever so slightly less aggressive on par-5’s than he once was. However, my metrics show that he’s coming up a more effective way of driving the ball to lower his score. A little less power versus the rest of the Tour, but much more accuracy and precision, which has plagued him in the past. All of these players are very long off the tee. And almost all of them are likely to see their par-5 ‘Go For It’ percentage go down a bit. Usually the leader is about 71-74%. While Bubba’s 80.6% is outrageous, he’s taken a lot of time off after winning the Masters and should regress a bit. Also, Tiger currently ranks 8th in par-5 scoring average. I think what has happened is that the Tour simply does not grow much rough on par-5’s anymore. Either they stopped growing rough on par-5’s or the bombers started to take advantage of it. The 2 tournaments Tiger has won this year, Bay Hill and the Memorial, both featured probably the longest rough on Tour so far this season. That’s why the bombers who eat up par-5’s didn’t contend last week, they couldn’t deal with the rough. And perhaps that is what the Tour can do to give the shorter hitters a chance. I think what all of this may mean is that Tiger’s chances at Augusta may be worse. No rough on the course, so bombers can just out-bomb him. But, he may have increased his chances at winning at the US Open and the PGA Championship. I think that may actually hurt his major victory odds in the end since the Masters is a limited invitational. So if you can be invited to that, your odds of winning increase automatically over the most democratic tournament in the world, the US Open. The game has changed for Tiger, the fans and the media just need to accept that. Tiger Woods wins the Memorial. I will have a post tomorrow regarding Tiger and his metrics. I will say that I noticed at the Memorial, he was not getting ‘laid off’ at the top of his swing, except when he was purposely hitting a sizeable fade ball. I think that he should probably look to get rid of the laid off move from his swing, regardless of the shot. It’s obvious to me that he can hit it fantastic even if he’s across the line at the top of the swing, but once he starts laying the club off at the top, he starts to struggle. He didn’t do that at the Memorial and in his words he ‘put on a stripe show.’ Something to watch out for at the US Open. Here's a video from Steve Elkington (www.secretinthedirt.com) of him playing with friends at the Bel Aire CC in Los Angeles. Bel Air CC has been given high praise by the Top 100 Golf Course blogger (http://top100golf.blogspot.com). I also hear that it's the home course of Carlton Banks. This video was taken 1 week before Elkington won the 1995 PGA Championship.